Liberty Life Policy options open up a whole new way of life for you. Let Liberty Life, a trusted multi-national giant, advise you on your future. “A Liberty Life Policy takes care of you and your family.” That is a favourite slogan of Liberty Life. In a nutshell, if you want to take care of everyone then choose a Liberty Life policy. Liberty is a much-admired company in South Africa with plans to cover you financially and protect your family. Their plans include a funeral cover, loss of income as well as illness protection. Today, many events could take your life or render you disabled and unable to earn an income. A fatal crash, being a victim of violence or getting a major illness can happen in an instant. Now is the time to look at insurance firms to see what they offer. All insurance companies have similar policies, but each one has different benefits and conditions of payout. Before deciding who to insure with, have a look at the Liberty Life plans. To get a FREE Life Insurance quote, please fill out the form on this page. The Income Protector – gives you a cash payment if you become disabled. Or if you suffer an injury making you unable to work, thus losing your income. There are also different levels of cover you can choose. Personal Income Protector – protects your income for the period that you are unable to do your normal duties and covers your living expenses for that time. Family Income Protector – this too has various cover options. 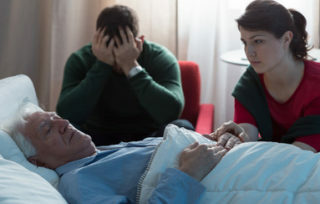 Sudden death after disability, a child’s terminal illness, cover for a family member getting a critical illness as well as an income protector while on maternity leave. Business Income Protector – covers your business overheads should you be unable to work. Illness Protection – covers you from a dread disease such as Cancer, stroke or paralysis. The plan pays a fixed amount thus helping to ease the financial burden. Policy Protection – In the event of being fired or having no money to pay your monthly rate, the option pays your monthly fees, and you won’t lose your cover. Liberty Life is a large company thus giving you extra peace of mind, knowing that your investment is safe. You won’t be left high and dry without money for your future. Take the time to invest in good life cover for you and your family. Ease the pressure and stress brought on by life changing events. Go online and get free Life Insurance quotes.